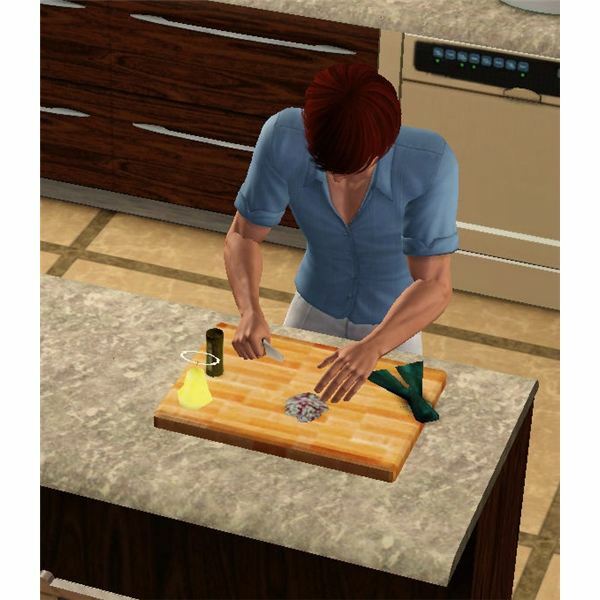 There are some unique dishes that your Sims can cook in “The Sims 3." 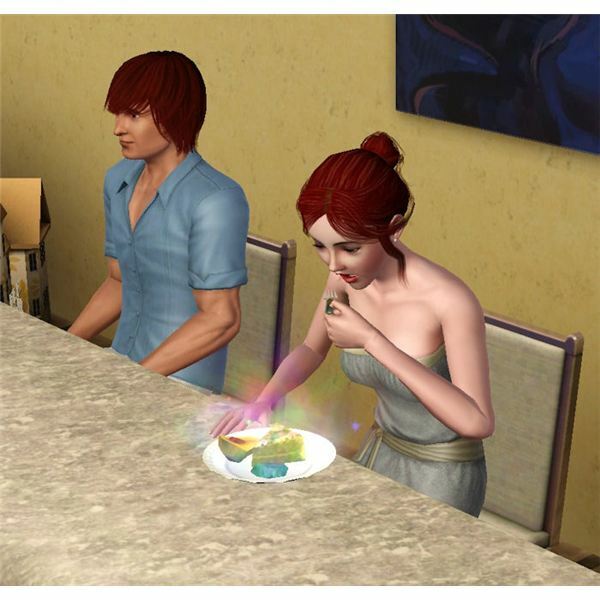 One such dish is The Sims 3 ambrosia which has some very desirable effects for the Sim after they eat it. In order to make this dish, your Sim will need some hard to find ingredients. Find out how to find those ingredients and how to make The Sims 3 ambrosia with this article. When Sims get to a certain age, they don’t really like aging up any more than we do. Luckily for Sims though, they can eat ambrosia to fix that little problem. It isn’t an easy fix though, and actually requires a lot of work to be able to make The Sims 3 ambrosia. The two main ingredients for the dish are life fruit and Death fish. You can’t purchase either of these from a store, so you must garden and fish for the items. 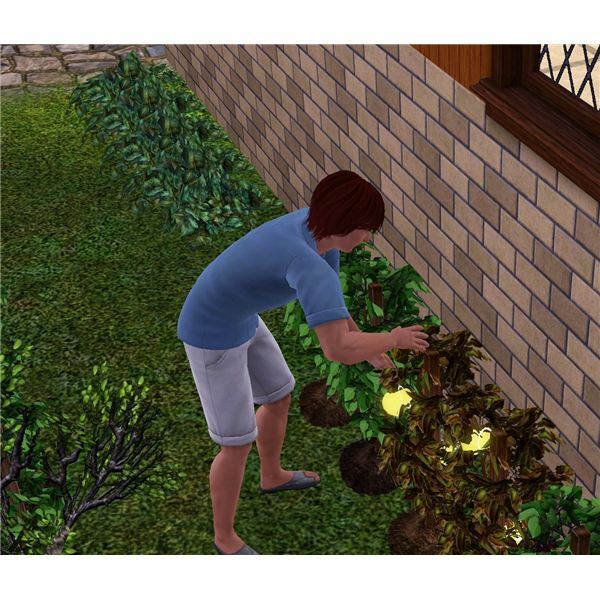 For The Sims 3 life fruit, your Sim will need to have at least a level 7 gardening skill. This seed isn’t easy to spot because it is an “Unknown Special Seed" which are scattered around town. It can usually be found by the Science Center or the graveyard. The Sims 3 death flower seed is also found at the graveyard, which you could also pick up while there. Once your plant grows, you will be able to see if it is in fact one of the life fruit plants, and then when ready, you can harvest a life fruit from it. Let it stay in your Sim’s inventory; just make sure they don’t eat it! For the Death fish, your Sim needs at least a level 9 fishing skill, Angelfish bait, and they must have read the fishing book titled “Fishing for the Dead: Death fish and Vampire fish on the Line" which costs $12,000 Simoleons at the bookstore. You can only catch the Death fish at the graveyard from 7PM to 6AM. You could however, also catch it from a stocked pond at any time of the day. After your Sim has collected the two ingredients, you will have to cook The Sims 3 ambrosia, which requires a level 10 cooking skill and your Sim must also have read the recipe for the dish, which costs $12,000 Simoleons (it will cost less if on sale, or if your Sim is a Sims 3 celebrity). Your Sim can cook this recipe at any time of the day, and they can give it to another Sim to eat. You could also collect these ingredients from different Sims in your household and then just place the ingredients into the chef’s inventory when ready to cook ambrosia. So, what is so special about ambrosia? Does it give immortality to Sims? It doesn’t make them immortal like The Sims 3 Twilight Characters to download, but it does have amazing effects for Sims! 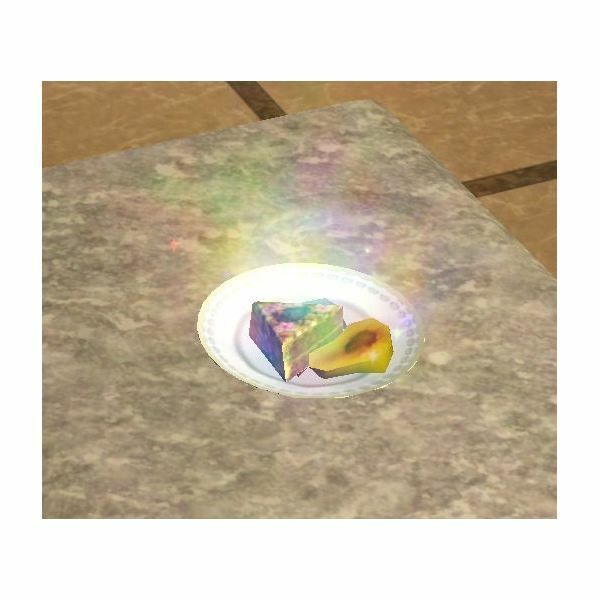 When looking at the finished meal, the ambrosia will glow, which is a pretty effect and makes Sims want to eat it. 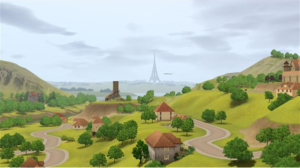 After a Sim eats The Sims 3 ambrosia, a large explosion goes off around them and it resets their hunger to full, gives them a positive 75 Sims 3 hunger moodlet for “Divine Meal" for 7 days and perhaps the best effect is that it also resets your Sim’s age bar to the beginning of the life stage they are on. 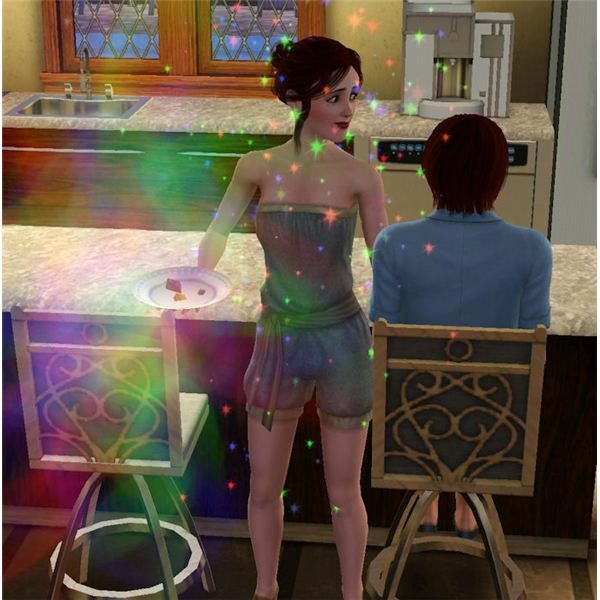 For a more impressive effect, feed the ambrosia to one of The Sims 3 ghost Sims. After a ghost eats ambrosia, they will be returned to a normal human Sim. They will be returned to the same life stage they were in. The ambrosia also works on a ghost’s offspring too! Screenshots provided by Sheri Newton.